Spring time has always been a bit of a double-edged sword for me. On one hand, there are flowers and refreshing breezes, and the sun smiles like in an old black-and-white cartoon, except with a chillingly sinister undertone because it’s kind of pissed about global warming these days. But, on the other, crippling allergies render me incapable of drawing breath. 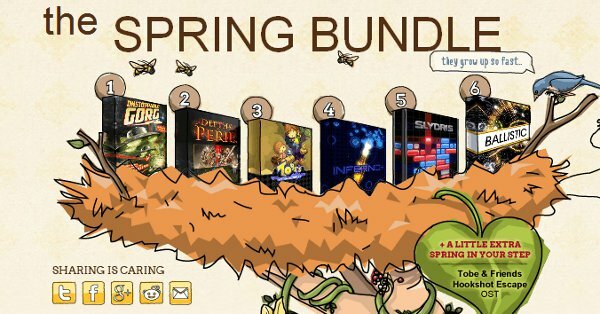 Fortunately, thanks to Indie Royale’s spring bundle, I can now take my mind off my sputtering, purple-faced death by partaking of a nice selection of indie games on the cheap. So that’s nice.